Soup is something I really cherish on the Dukan Diet because it helps to fill me up and when it is low calorie I feel like I can eat it all the time. 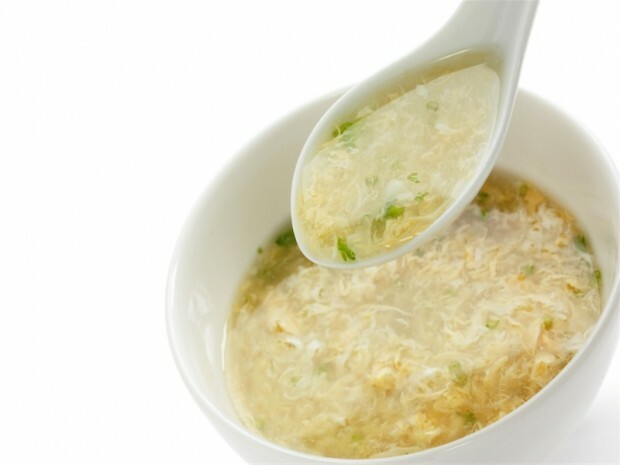 This simple egg drop soup is a good, quick soup you can throw together in just a few minutes with things you are likely to have around the house. If you want to bulk up the protein consider adding shredded chicken or tofu. 1. Add the chicken broth, salt, ginger, and scallions in a large pot and bring to a slow boil. 2. In a small bowl, whisk together the eggs and then slowly stir the eggs into the broth. Continue to slowly pour in the eggs and stir. Serve immediately.